This skin hydrator rescues dehydrated and depleted skin by replenishing lipids lost in aging, stress and environmental damage. 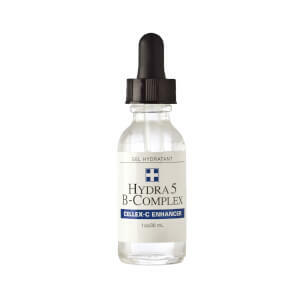 Attracts and binds moisture to skin with Hyaluronic Acid, a powerful natural hydrator. Leaves skin with a healthier, more youthful complexion. Aqua (Water), Glycerin*, Borago Officinalis Seed Oil, Honey (Mel), Phospholipids, Sphingolipids, Allantoin, Hyaluronic Acid, Hamamelis Virginiana (Witch Hazel) Water, Aloe Barbadensis Leaf Juice Powder*, Citric Acid, Benzyl Alcohol, Alcohol, Fragrance (Natural). I use this product alone whenever my skin is irritated or over the serum in the evening. Have not seen any other natural moisturizer that is so effective but lighweight. This is my first bottle of hydrating serum. I can feel my skin on the cheeks are smoother and more hydrated. I plan to order more in the future.It runs out fast as it's almost gone after 1 month for 2 pumps per use and twice a day. I have addded this to my use of White Ice and seems to be that little extra I needed to help dryness. 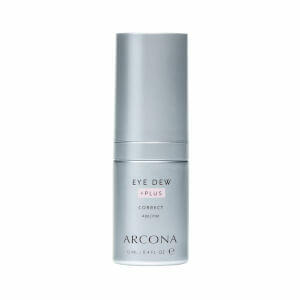 The ARCONA Hydrating Serum is delightfully soothing and refreshing. I love the scent as it is soft and pleasing. I have incredibly dry spots on my face that are very sensitive, and this serum replenishes these areas without any sting or irritation. My only complaint is that I need to reapply the serum (only to the extreme dry spots) often to keep them hydrated. The other areas of my skin stay perfectly hydrated with one application, so the drying out may not be a problem for those who have normal skin. Wonderful hydrator! I don't use this everyday as my skin can be quite oily and don't need the extra moisture. However, when it is winter time, or during change of seasons when my skin gets dry, this product is wonderful in giving the right amount of moisture without breaking me out. It absorbs very quickly and hydrates really well. Much better than those oily creams that I used to use, which moisturized my dry bits, but made me break out.